George Iskandar was born in Israel. He graduated from the Beit Zvi Drama School. He has performed in many theatre productions including Mother Courage, 1001 Nights Tales, Harper Regan, Um and many others in several theatre companies including the Arab-Hebrew Theatre, the Habima National Theatre and the Gesher Theatre. 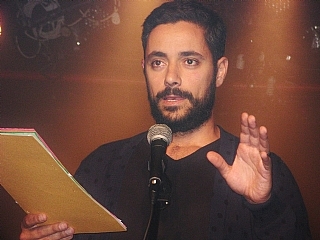 He has performed in many films including Return to Life, Bethlehem, Sabena and others and in television in Homeland and other series, He won the Gold Porcupine Award in 2015 for best supporting actor in the show The Peacock of Silwan.